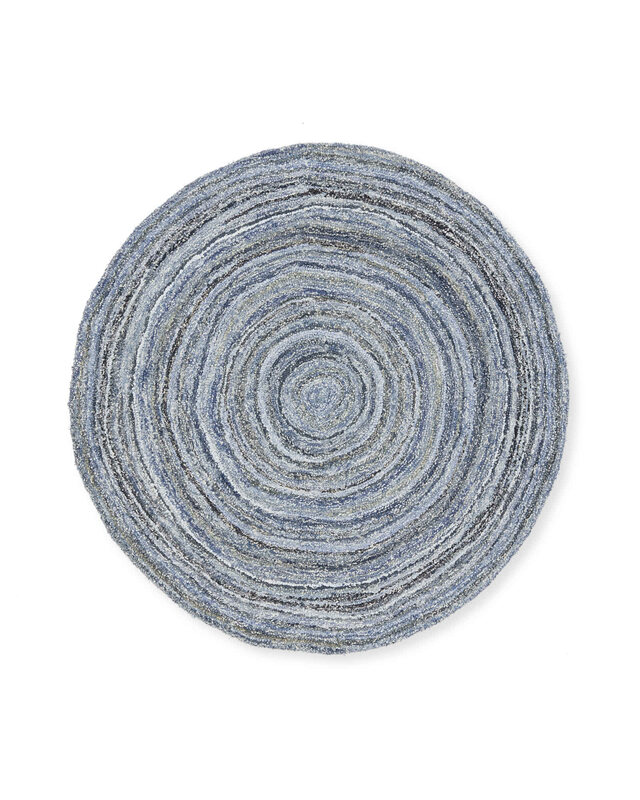 Harper Denim RugHarper Denim Rug, alt="Harper Denim Rug, "
Print Now this is a conversation piece: a rug made of recycled denim, mixed with soft wool. 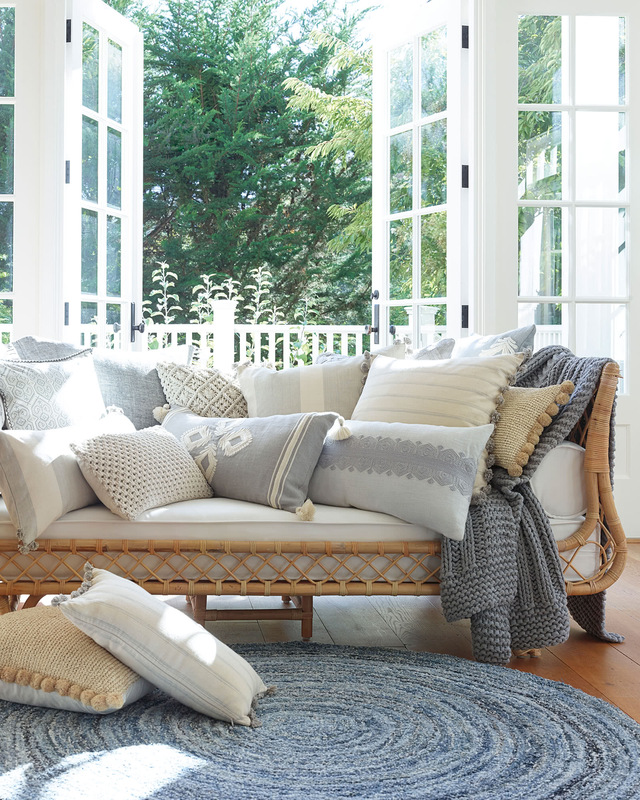 Expertly put together by hand, it's not only casually chic and soft underfoot, but incredibly durable. 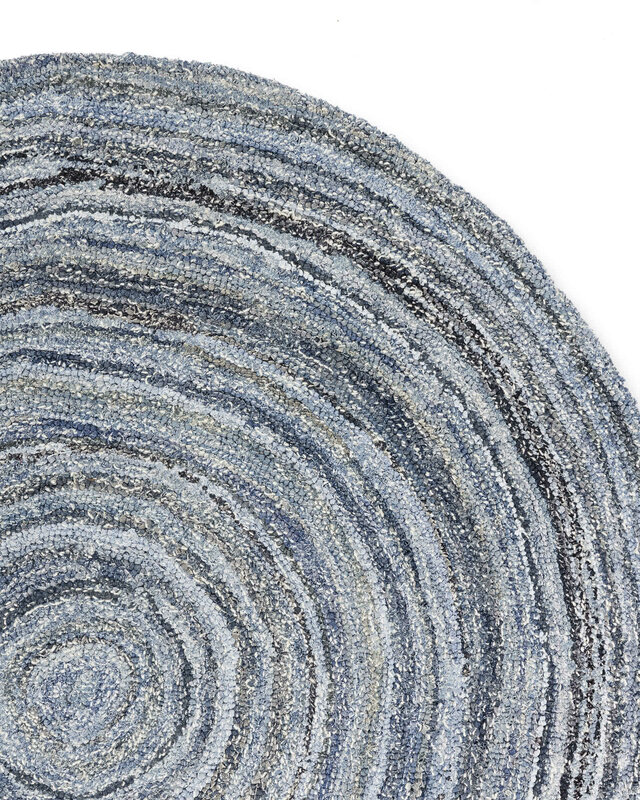 The gorgeous variations in blues are a result of randomly mixing stonewashed, dark and vintage washes. The mix means that no two rugs are exactly alike. 75% recycled cotton denim, 25% wool with cotton backing. Tufted by hand in India.